Glenhurst Manor Westbourne Garden Party. 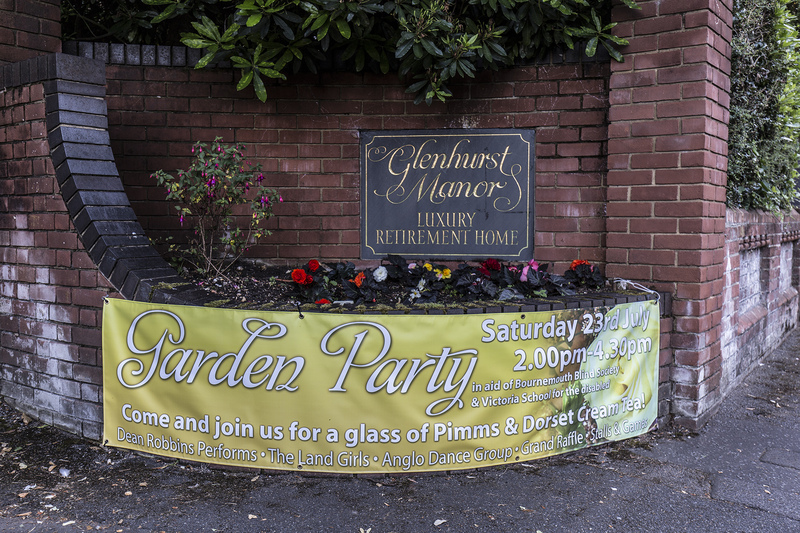 This Saturday, 23 July 2016, Glenhurst Manor Westbourne will be hosting their annual Garden Party. Situated in the superb grounds of this delightful period manor house, the event will run from 2pm – 4.30pm. As usual, they will be raising funds for two local charities. This year, they have decided to support the Bournemouth Blind Society and Victoria School for the Disabled once again. There will be a raffle, tombola, various fund-raising stalls, games – and a Dorset Cream Tea. Looks like this will be a good event, raising money for two very worthwhile local charities. Why not pop along and enjoy the fun! The Bournemouth Blind Society, based in Victoria Park Road, Moordown, provides support to blind and partially sighted people in the Bournemouth area. They also hold regular social events. Victoria School, in Lindsay Road, Poole, provide a high standard of education for disabled children, either as day students or residential, with their own Tailored Individual Learning Plan.